The use of social media is becoming more and more common, greatly impacting the manner in which we communicate with one another all over the world. Social media sites such as Facebook, Twitter and Instagram, function as public forums where we can share our photos, thoughts, and opinions. At the same time, these sites have the potential to provide an abundance of evidence for parties involved in criminal and civil cases. 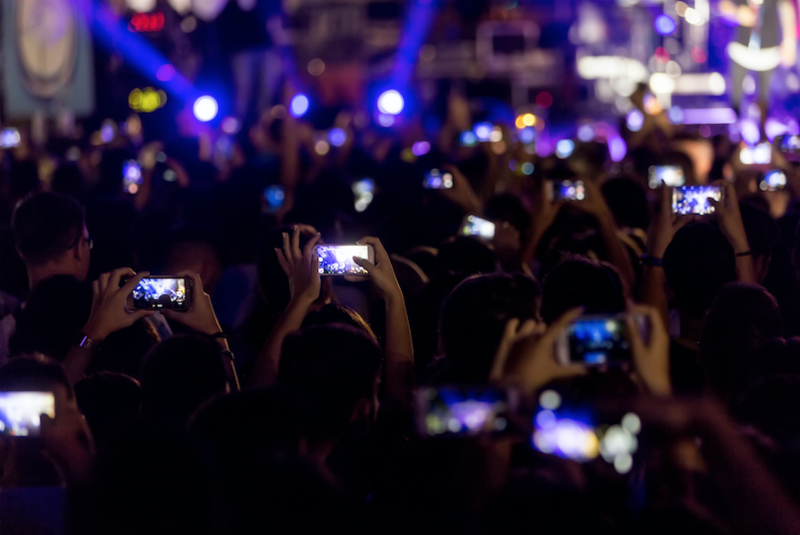 Depending on your privacy settings, everything you post enters a public arena, which is not normally protected under the Fourth Amendment because there is no expectation of privacy. Many social media users believe they are protecting themselves by applying a privacy setting to their account by only allowing individuals they are “friends” with to view their profiles. However, using privacy settings may not always prevent attorneys from using information on your social media profiles against you in a court of law. 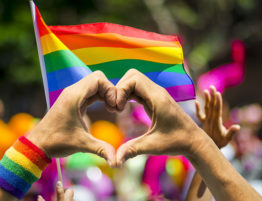 For example, if your privacy settings on your social media accounts are set to “friends only,” one argument an attorney can make is that you have no expectation of privacy because anyone you are “friends” with on social media has the ability to share your posts on their account publicly if they choose to do so. On the other hand, opposing counsel may argue that an expectation of privacy is created when a privacy setting is turned on. Either way, more and more judges are allowing lawyers to use social media photos and posts as evidence even when a privacy setting is turned on. Ultimately, nothing online is truly private, and the best way for you to protect yourself is to use caution when posting anything on the internet, especially if you’re involved in any legal proceeding. Whether you are in the middle of a claim for damages from an accident, or facing criminal charges, it is always a good idea to think twice before posting anything personal on the World Wide Web. 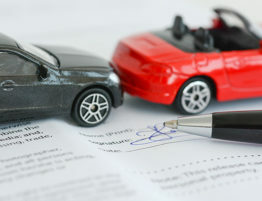 Generally, when you decide to purse a personal injury claim as a result of an auto accident, it is likely you have suffered physical injuries, such as a broken bone or concussion. Depending on the extent of physical injuries suffered, monetary damages are sought for the expenses related to the injuries. Testimonials are generally obtained from medical experts, specialists, and witnesses in order to prove you have in fact been injured. To negate a personal injury claim, insurance companies will attempt to prove the injuries suffered are not as severe as you claim using evidentiary support. Social media sites are a great source for insurance companies to obtain such evidence. For example, if a person states they have chronic pain or limited mobility, but there are photos of that same person engaging in some type of strenuous physical activity or exercise on Facebook, those photos become evidence to refute the personal injury claim. It is important to remember that just because you might not be posting anything that could harm your personal injury case, doesn’t mean friends and family members and friends aren’t. Similar to personal injury cases, content that is posted on social media sites can hinder a criminal case. For example, if you have been charged with a DUI, any photos posted on Facebook of you drinking the night you were arrested can and will be held against you. In the event you have committed a crime that was caught on videotape and/or a surveillance tape, there may be a photo on social media that may help the government identify that it was you on videotape committing the crime, such as an article of clothing, jewelry, or other personal belonging. And one last point, do not pose with Airsoft guns, especially if you have been previously convicted or facing a felony charge. Airsoft guns have a strong resemblance to real firearms allowing opportunity for undesirable consequence, such as having your home raided by the police and attracting unwanted attention from the State Attorney’s. Police officers do in fact monitor social media sites for potential gun violence. The legality of Airsoft guns is currently a highly debated topic in the United States right now. Currently in Florida, Airsoft guns are not classified as firearms, however it is illegal for any minor under the age of 16 to use an Airsoft gun unless they are supervised by a parent or legal guardian. Parents who do allow their child under the age of 16 to use an Airsoft gun can be found guilty of a second degree misdemeanor and can face fines, jail time, or probation. Again, it is important to remember that even if you do not post anything potentially incriminating, your friends or family still can. You have little control over what picture or photo you may be tagged in or what might appear on someone else’s timeline, regardless if you are formally tagged or not. No matter what type of case you are involved in, social media has the potential of having a negative impact on your case. Depending on the severity, it may be a good idea to deactivate your social media accounts until the case is over. Once a post or photo is placed online, it is there forever. And just because you delete a post or photo does not mean it cannot be accessed later. It is also important to keep in mind that once litigation has commenced, there is a duty to preserve anything that might be considered evidence in the case, even if the evidence may prove to be detrimental. If social media posts or photos are deleted or destroyed, there are pretty serious consequences you may face, such as being sanctioned or fined by the court. It is always a good idea to inform your attorney about your social media profiles in order for them to help manage your accounts and prevent you from posting anything incriminating or harmful to your legal matter. At the end of the day, nothing posted on the internet is truly private. Bottom line: remain cautious, because what you post on social media can and will be held against you in a court of law. Top 7 Reasons to Download GBY&A’S New Crash App! 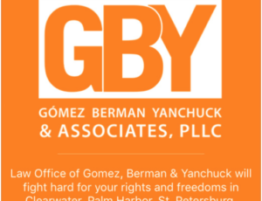 The Law Office of Gomez, Berman & Yanchuck will fight hard for your rights and freedoms in Clearwater, Palm Harbor, St. Petersburg, Tampa and the surrounding areas. Contact us 24 hours a day and 7 days a week to schedule a FREE consultation.